Its three loops of nine holes give Sandford Springs Golf Club a unique feel. The charming club, nestled in the north Hampshire countryside, emanates an air of quiet contentment, and yet such a calm façade belies a passionate heartbeat that exists beneath. There is a real sense of character about the place, from the moment you first set eyes on the pretty white clubhouse with its ornate ironwork and neat touches. 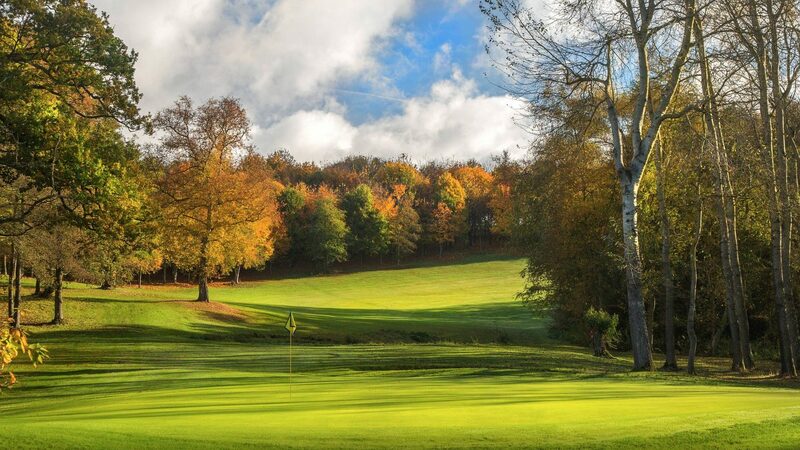 Even the 27 holes – set out as three distinct loops of nine in the form of the aptly-named Woods, Park and Lakes courses – are serene and meander through the rolling countryside overlooking Watership Down. But don’t be fooled by appearances. The three courses can prove a challenge for all levels of golfer, while the staff and the club have achieved their aim of being recognised as one of the finest golf venues in the region. Professionalism, efficiency, drive and friendliness are packaged together in a way that makes you want to come back and enjoy the unique golfing experience at Sandford Springs again and again. Off course, Sandford Springs is blessed with extensive facilities, enabling it to host everything from conferences and business meetings, to Christmas parties, christenings, weddings and summer balls. Tel: GENERAL TEL: 01635 296800 | FAX: 01635 296801. Winter from £25. Summer from £49. Located halfway betweenNewbury and Basingstoke on the A339 at the foot of the Kingsclere bypass. From £35, 4-ball from £100. From £40, 4-ball from £120. 39-bedroom hotel on site which includes a mini gym. Driving range, short game area, including practice bunker and putting green. Buggies and electric trolleys available.